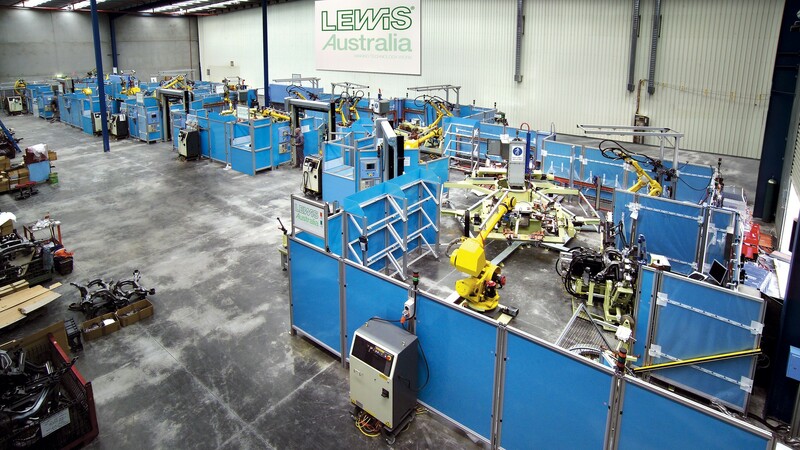 The Rear Sub-frame Welding Facility uses seven robotic cells to assemble the Holden VE Rear Cross Member. 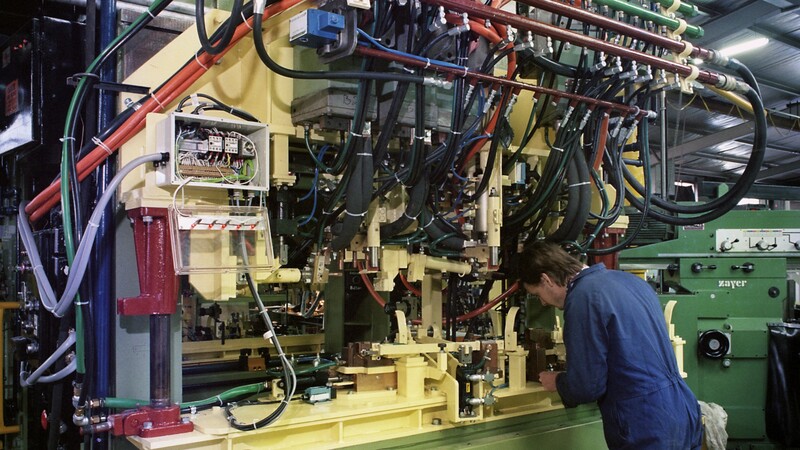 Eight operators load components and unload the completed assemblies in a 72 second cycle. The portable Form In Place Gasket Cell is used as a backup in the event of a break down of a fixed cell. It can recognise and accept either of the two different components and apply a consistent bead of sealant to the correct gasket surface. Easily forklifted to the appropriate section of the engine assembly line and plugged into power and air, it is then ready for operation. 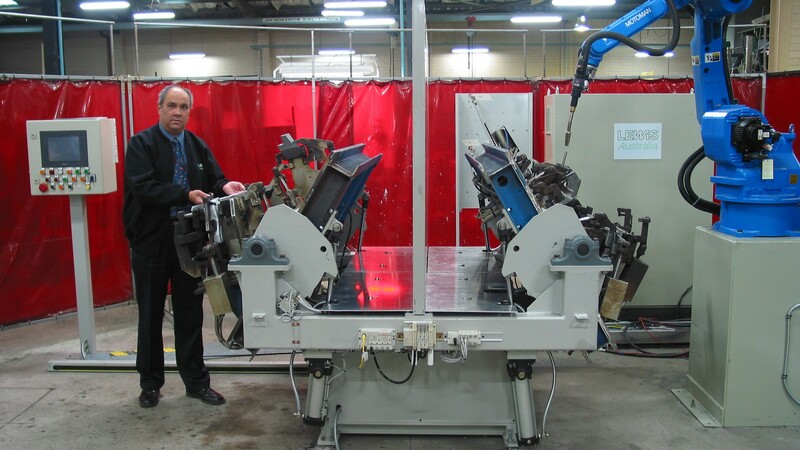 The Rotary Table Welding Cell increased production rate of an automotive sub-frame member, simply by remounting existing weld fixtures into a standard rotary table. 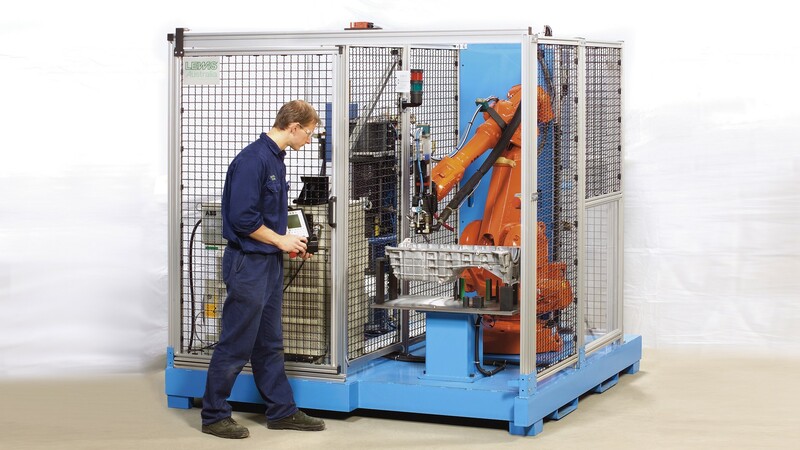 The loading operator is protected from the welding robot by a light guard, the table wall and the table sides, which have been removed for clarity. 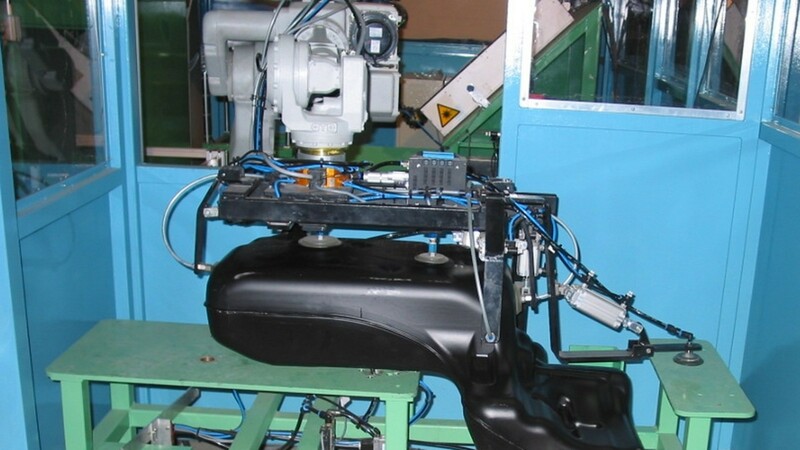 The Robotic Glue Gun Cell receives a component from a manually loaded station, moves the component through a preprogrammed path underneath a glue gun and presses it onto its mating component. Similar facilities can be designed to apply paint instead of glue or be equipped with multiple grippers to handle a variety of components. 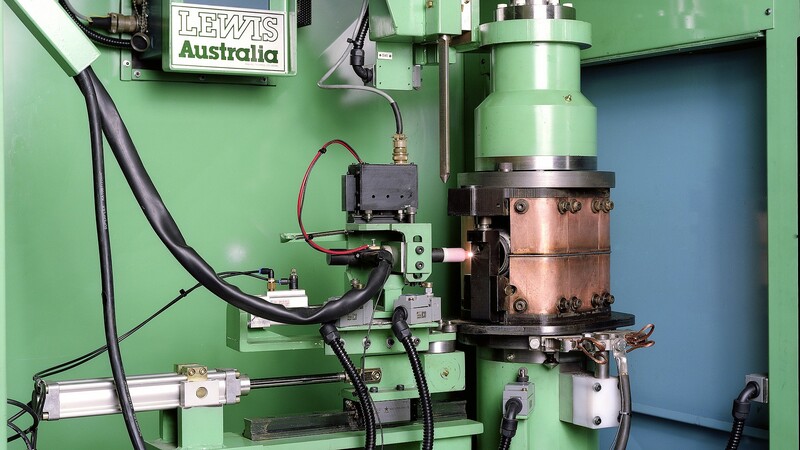 The Multiple Spotwelding Gun Fixture contains a total of eight spotwelding guns, some on indexing mounts. This fixture completes 12 spotwelds on a dash panel assembly. 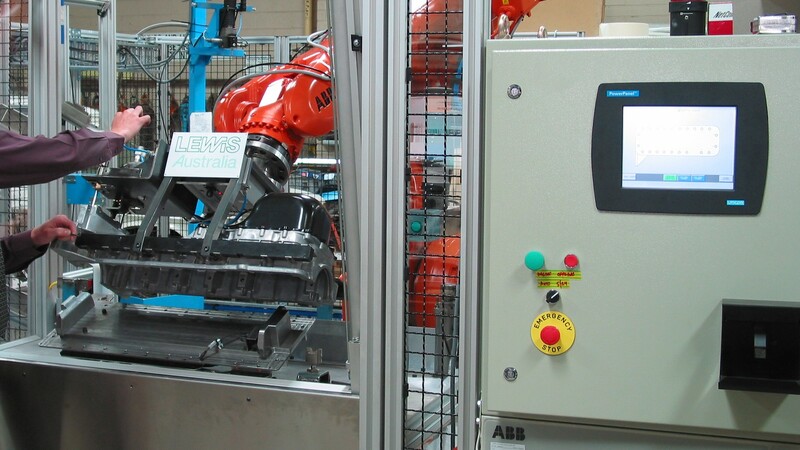 The high performance Engine Compartment Assembly Facility employs four robots fitted with Obara spotwelding guns to assemble engine compartments. 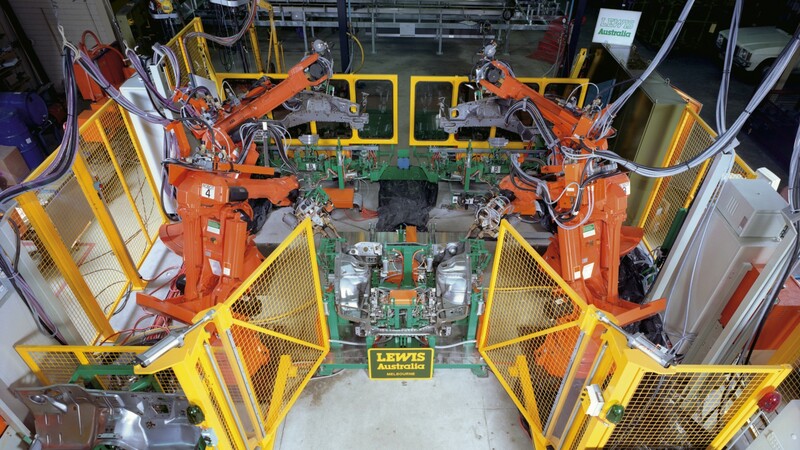 The facility was developed in conjunction with Ford Motor Company engineers.